When the nervous system is compromised at the spine there are times when there is no pain at that site, but a person may experience pain, numbness and/or tingling in an arm or a leg. Extremity pain can also accompany back or neck pain. The cause is still the same (subluxations) and the body is able to heal and improve with subluxations removed with chiropractic adjustments. When I first started I couldn’t see out of my right eye. And my hands were numb. The numbness has stopped, and I can see out of my right eye. Also I always had to take a sleep aid to fall asleep. But now I fall asleep without any problem. Thanks to Dr. Artho. 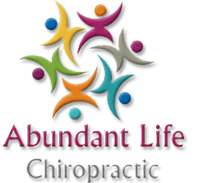 I wish to express my utmost gratitude to Artho Family Chiropractic. For the friendliness and caring, all the support. For when I first came I had so much pain, neck, back and legs and heel pain. Severest in the mornings. But since I’ve been coming I’m able to turn my head. Ease off of medication just to feel 1 day of relief. But I’m walking, resting better also. My legs were bothering me a lot. I had leg cramps at night as well. I have had wonderful improvement and have had extremely courteous care in my treatments for the last 3 months. My new job is very straining on my body. Coming to have my adjustments helps keep me going. Before I felt tingling in my arms and hands but that has stopped since I started my adjustments. I have more energy to keep going. The atmosphere here is very pleasant and I enjoy the smiles when I walk in, also the loving care and promptness I get. Thank you Dr. Artho for your advice and help.